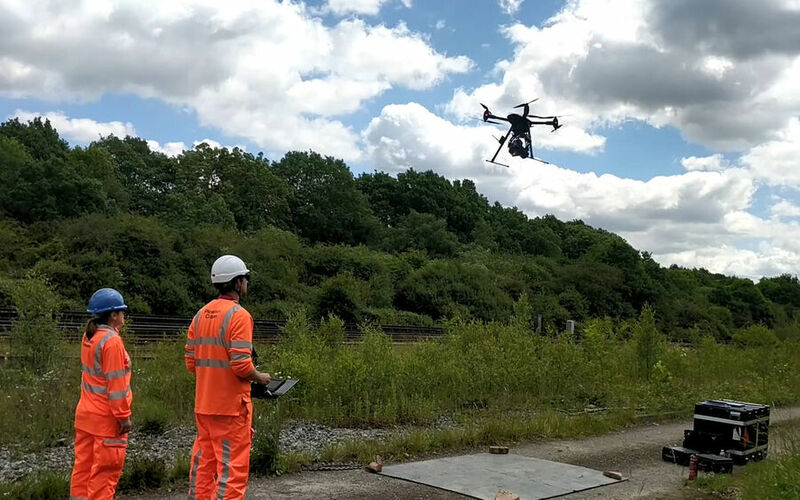 Thanks to a collaboration between Network Rail and Plowman Craven, a new system has been developed that produces validated survey data to sub-5mm accuracy without the need to access tracks. Network Rail described it as a “game-changer". The monumental challenge is how to safely balance the essential surveying and maintenance of the network with keeping passenger disruption risk to workers to a bare minimum. Drones would appear to be the obvious answer.